I’ve been wearing a helmet while climbing for many years now and I think as a whole they’ve become so light and comfortable there really isn’t much reason not to. But this isn’t a discussion of the merits of wearing a helmet while climbing, just my opinion of the Black Diamond Vector after donning it day-after-day for over 2 years now. The Vector is a superbly comfortable lid. My head is what I like to consider “efficient”. It doesn’t take up too much space, if you harvest what I’m planting . The smaller size (S/M) of the Vector accommodates my pin-head well, and it leaves enough room to wear a hat under it. 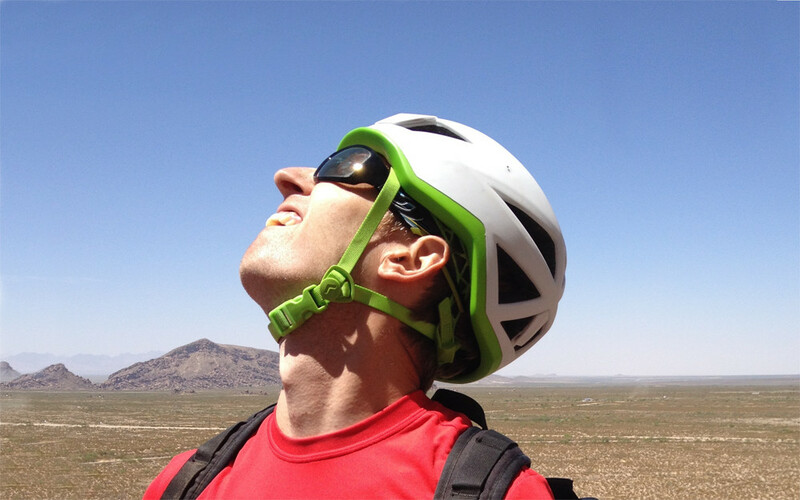 The harness system is super comfy while simultaneously keeping the helmet securely in place. It’s also quick and easy to adjust with 2 hands. While certainly possible to adjust 1-handed, it’s not quite as intuitive. It can also be a bit tricky with bulky mittens, if for some reason you enjoy climbing with mittens. The chin strap is as comfortable as any helmet, but the modestly sized plastic buckle, while super easy to use bare handed, is a little small with bulky gloves. The Vector taking in the view on pitch 6. I chose the white and green color scheme for a couple of reasons. Primarily it looks cool, a fact confirmed by our extensive “Hot or not” survey of every helmet on the market. The survey definitively concluded that the white and green Vector is considered by most people to be the best looking helmet available, as of spring 2016. The white shell has the added benefit keeping the helmet cool. I’ve read a number of reviews of the black version warming up on sunny days, which I have never experienced with the white version. Although it has less ventilation than the BD Vapor, I’ve found it more than sufficient for all but the hottest days, at which point I’m sweating regardless. If you’re thinking “Ventilation doesn’t matter, I just don’t wear a helmet on hot days”, the fact that in hot weather you’re sweating hands and hot rubber increase the likelihood of skittering off your “proj” at the worst possible moment is precisely when you want the extra cranial protection. Rapping off a route in Acadia, ME. I have never noticed a reduction in visibility while wearing the Vector, and in-fact find myself forgetting that it’s on. The low profile makes it less prone to knocking into the rock than some previous helmets I’ve worn, like the Petzl Altios, but it has happened a couple of times over the past year. I’ve also worn the Vapor which, according to a Black Diamond source, is roughly 20% slimmer than the Vector. To be honest, although I can visual confirm that the Vapor is thinner than the Vector, I can’t tell a difference between the 2 when I’m wearing them. Where are we going? Checking out a 2nd pitch in St. George, UT. Black Diamond markets the Vector as weighing 231 grams for the men’s S/M. After 2 years of use, my unaltered Vector comes in at 224.7 grams. 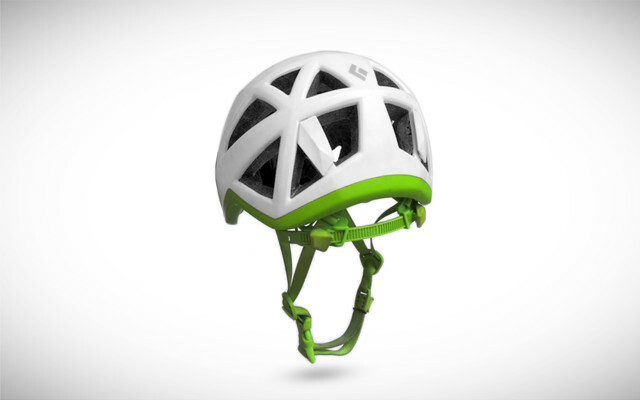 At the “official” 231 gram weight the Vector is currently (as of Spring 2016) the 12th lightest climbing helmet, just 1 gram shy of being tied for 8th, along with the women’s Vector (official weight of 230g). My Vector weighs in at 224.7 grams, after 2 years of use. But ultimately the question is, what is light enough? Even though the current light-weight winner, the Petzl Sirocco, is a whopping 81 grams lighter, that doesn’t change the fact the Vector is light enough for me to forget I have it on. If you’re looking to minimize weight for packing purposes, there are lighter options. But if you’re weight concerns are driven by a desire for comfort, rest assured the Vector is light enough, in my experience. Many other reviewers complain about how easily it dents, and I’ll agree it’s not the most durable helmet available. As I tend to be rough on gear I was nervous I would quickly destroy the Vector. I’ve been known to inadvertently trash my gear with barbaric handling. When I use a plastic shell helmet such as the Petzl Elios or Black Diamond Half Dome, I don’t think twice about throwing down my pack and sitting on it with the helmet inside. But with all of the talk about the Vector being fragile, I have put a little more effort into making sure I don’t crush it. The Vector after 150+ days of use. A few dings and little dirty, but still going strong. With a little extra thought into how I’m handling it, I’ve been able to keep the Vector looking almost new for the last 2 years. I make sure it’s placed on top of everything else in my pack or strapped on the outside. I am also particularly vigilant about not sitting on my pack with the helmet inside or tossing my pack on the ground without thinking about it. But I must say that this little extra effort has not been nearly as burdensome as I was originally fearing. Being the bumbler that I am, I’ve still managed to drop the helmet accidentally off my pack onto rock – multiple times – with little noticeable effect. The Vector is constructed similarly to many other foam helmets with co-molded EPS (Expanded Polystyrene) foam and a thin polycarbonate shell. The generous vents at the back of the helmet certainly do their job of expelling heat at the back of the head while keeping the top and front of the head completely protected from rock fall. I do wish there was a little more ventilation at the front of the helmet to promote even more airflow, but it’s been enough to keep me cool. The Vector has a lot of ventilation while still maintaining lots of coverage from rock fall. This is my helmet after 2 years, still in pretty good shape. The lightweight harness system easily folds down into the helmet for efficient packing and the plastic seems beefy enough to stand up to long-term use if not aggressively abused. The only real gripe I have is with the headlamp clips. Getting a headlamp strap securely in place without help can be a challenge. That said, once your headlamp is on correctly, it ain’t comin’ off on accident. And as long as you plan ahead a little and have your partner help, it’s a piece of cake. The ladies and men’s helmets are identical other than color. Also, the ladies version only comes in the smaller size of S/M (21-23 in / 53-59 cm). So if you have a larger noggin’ (23-25 in / 58-63 cm) you can find that option in the M/L men’s version. Nothing too crazy going on inside the Vector, but it sure is comfy. On paper the Vector is not a stand-out helmet; it’s not the lightest, it’s not the cheapest, and it’s not the most durable. Despite not being remarkable in any single area, the combination of a nice, storable harness system, relatively light weight, and high comfort make the Vector an impressive option. I’ve been extremely happy wearing it at the crags and in the alpine as we climbed our way across North America from Leavenworth, WA to the White Mountains of NH, to El Potrero Chico, MX. Bottom line, if you wish you could get the BD Vapor helmet but can’t justify the fairly crazy $140 price, the Vector is an excellent option in my opinion. If you’ve used the Vector and had a different experience than I have, let us and the rest of the readers know in the comments. We’re always curious to hear what people think of their gear. 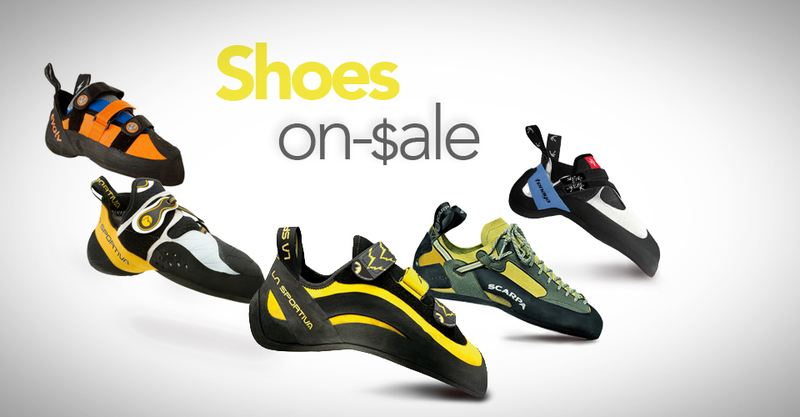 In case you feel the Vector is right for you, we’re listing the current prices from all the major online retailers. If you do end up buying gear after clicking these links, we’ll get a small commission (5-12%) which helps us keep WeighMyRack up to date and ad-free. Thanks for your support!